It's a celebration of a blog's founding! I do that are inspired by Pinterest! Celebrate with us and join the party. 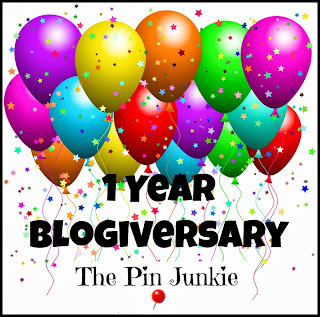 Welcome to The Pin Junkie Blogiversary Party! I'm celebrating the one year anniversary of my blog and these fantastic bloggers are helping me celebrate! 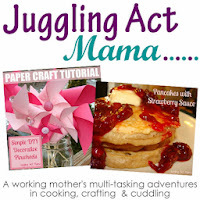 When you share your projects and recipes, they will be seen on over 20 blogs! 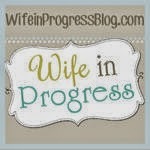 Please visit a few of these blogs to stop by and say hello! 3. 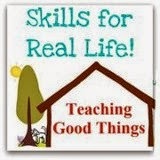 Link up something YOU made - it can be a craft, recipe, or project as long as YOU made it. (No giveaways, contests, or link parties please). 5. Show some love by visiting some of the other links and HAVE FUN!